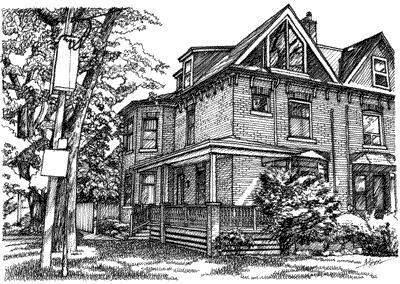 Rathnelly - Royal LePage Real Estate Services Ltd.
Rathnelly's history revolves around the former Rathnelly house built in 1830 by Senator William McMaster. McMaster's home was named after his birth place in Rathnelly, Ireland. The McMaster estate remained intact until the 1880's, when it was sold to developers. The present day neighbourhood began shortly thereafter. The Rathnelly neighbourhood made headlines in 1967, while celebrating Canada's 100th birthday. During the celebrations Rathnelly residents playfully declared themselves as an independent republic of Canada. To mark their independence, the "Republic of Rathnelly" elected a queen, organized a parade, formed an "air farce" of 1,000 helium balloons, and issued Republic of Rathnelly passports to everyone in the neighbourhood. Over forty years later the "Republic of Rathnelly" is still going strong.